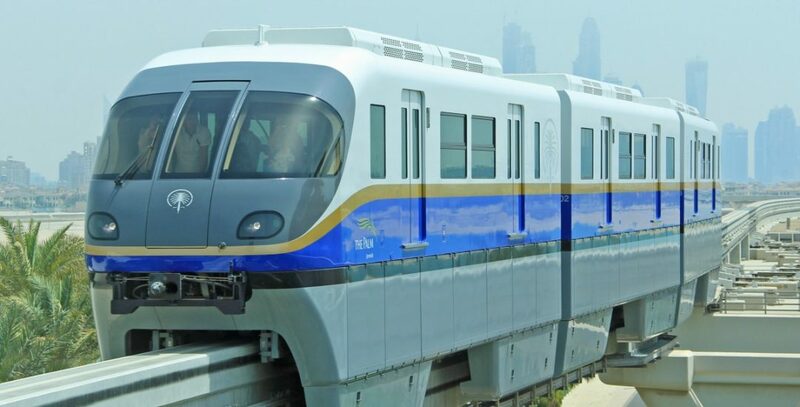 The Palm Monorail was opened on 30th April 2009 and runs along the trunk of the Palm Jumeirah in Dubai connecting the Gateway station at the entry to the Palm to the Atlantis hotel at the far end. There are also 2 other stations along the way and an interchange station before the gateway which are completed but not yet open, although the train does stop at the stations but the doors don’t open. There have been no indications to date as to when the other stations will be open.